There’s no doubt that widespread adoption of marketing strategies has changed the overall outlook of businesses, but how many businesses are marketing in a right way is still a big question. Analyzing ways that can be used to market a product is one thing. And, discovering audience to which set of products can be marketed is another thing. Nevertheless, both are equally important to achieve while trying to sell your products online. 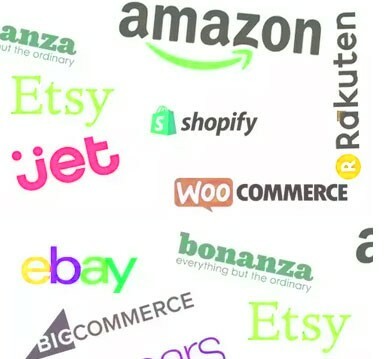 Let’s understand what marketing strategies giant e-commerce organizations including Amazon, eBay, Bonanza, and Walmart follow to stand at better stead. These quick and sharp marketing tips will give you the exact idea of marketing when you are doing online business. Amazon follows and asks their sellers not to do any direct communication with consumers that can direct them away from this giant e-commerce platform. Yes, you’re right here! The strategy is to tie sellers as well as customers with them. As an alternative to this strict guideline, Amazon allows their sellers to market products right from the platform, i.e., by managing a blog where relevant people can be targeted by deciding the niche. Get as many reviews as you can!! It is the counterpart of the complete marketing & selling game. It is predicted that buyers do trust online reviews more than any personal recommendations. But, here you’ve to think broad… like how many consumers read long text reviews? Very few, right! So try to get reviews that include media whether audio, video, or images in it. It is also evident that 90% of Amazon buyers don’t leave feedback. But, again you can outsource reviews which also reduce the chances of negative or unconstructive reviews. Emerge yourself out of the competitors’ box to become a resource, and don’t limit your boundaries as a retailer. Make an email newsletter, a blog post of your product or Facebook Fan Page of product, which can focus on your clients and followers. Give valuable information and resources to people participating in your picked field as a job or a hobby. Share some video content about the product you offer and tips that can be offered to would-be customers. People will get some idea that they’re purchasing from, particularly with online stores. It also allows you to share your knowledge through video content and increase trust in the meantime between buyer and seller. You can know all the information about your product; however, as much as possible about Walmart’s requirements, yet there’s one question that seems to come at you from the side. “Try not to make up an answer for questions asked by the customer.” Let them know the truth – say ‘I don’t know, but I’ll give you an answer by tomorrow,’ and then find the appropriate answer and give them the answer. Walmart is a big name in the e-commerce industry and thus likes to deal with sellers who have a proven track record on other marketplaces. Walmart believes that the reviews and rating on the almost every sales channel matters and therefore, businesses should maintain this. Focusing on your sales record improvement will only rise your charts high. Bonanza tips have always been the most supported decision of big and smart investors, and you can make sure of good returns once you get registered yourself with the Bonanza. If you are someone who trades with more than 10 parcels, then surely Bonanza tips are the correct choice for you. Bonanza has made many tools to help deal with your business across multiple digital channels. However, as your business develops day by day, you have to take care of the various products of your channels so that they cannot move downwards. Things like news feed enhancement and product listing descriptions may assume a lower priority with stock service of product and order satisfaction. It is the place where multi-channel service can become possibly the most important factor. With a centralized platform, you can easily integrate your marketplaces, web stores and comparison-shopping engines together, powering your business with higher proficiency and cost-effectiveness. So, all these marketing tips from Amazon, eBay, Bonanza, and Walmart will give you the idea for your business marketing. Hope you can get more success through all this!